A person has been detained in Antwerp, Belgium, after he was believed to be attempting to drive his car into a busy shopping street at high speed, according to police. "A vehicle with French plates has tried to drive at high speed into the Meir [shopping street] so that pedestrians had to jump aside," Antwerp police chief Serge Muyters told a news conference. "Our army colleagues forced the driver to stop but he pulled away and ran a red traffic light. We sent a special forces team and the car and the driver were stopped." "A man in camouflage was taken away." The car was intercepted at nearby port docks, according to the federal prosecutor's office. Authorities said they found knives, a gun, and a gas can with an unknown liquid in the car, Reuters reported. 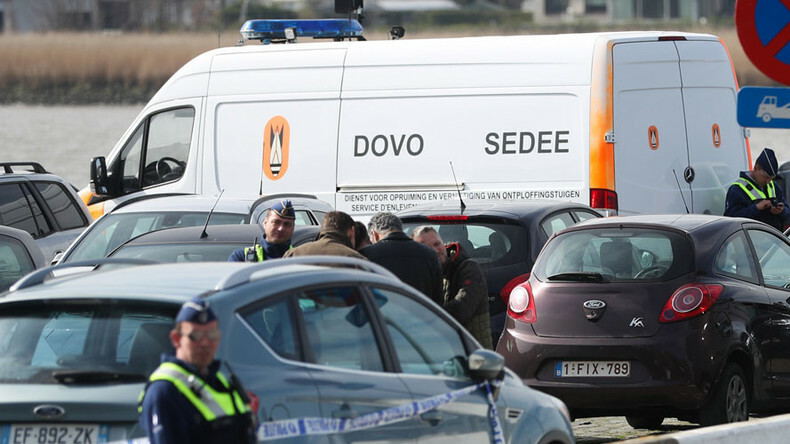 "Different arms were found in the boot, bladed weapons, a pump-action rifle and a container of as yet unidentified liquid," Belgium's federal prosecutor said in a statement, as quoted by AFP. "Because of these elements, and the events in London yesterday, the case is being taken on by the federal prosecutor's office,'' the statement added. The man is of North African descent and is believed to be a radicalized Muslim, according to the media. The prosecutor said the man has been identified as 39-year-old Mohamed R., a Tunisian national who resides in France. French President Francois Hollande also said the incident appears to involve a French national. "It seemed to involve a French national, with possibly a certain number of weapons in his boot - it's up to the judges to make a statement on that - who was looking to kill or at the very least create a dramatic incident," Hollande told reporters. "Therefore we must continue to be on high alert and mobilize all our forces," he added. However, according to one of the sources in France, authorities there believed the suspect had not been trying to hit anyone, but was probably drunk and trying to escape a police check, Reuters reported. A perimeter has been set up around the area and a bomb squad has been deployed. Additional officers and military personnel have been deployed throughout the city, according to Antwerp police. Belgian Prime Minister Charles Michel has praised the city's authorities for doing an "excellent job." Meir is the main shopping street in Antwerp's historic center, and is mostly pedestrianized. It is one of Belgium's biggest shopping areas. It comes just one day after an assailant plowed his car into pedestrians near the British Parliament, as part of an attack in which a policeman was also stabbed to death. UK police believe the incident was “Islamist related." Prime Minister Theresa May confirmed that the attacker was born in Britain and had previously been investigated for suspected extremism by MI5. It also comes just one day after the first anniversary of the Brussels bombings, which led to the deaths of 32 people at Brussels airport and Maalbeek metro station. More than 300 others were injured. Belgium has been on high alert since the March 2016 attacks.